Practice an evacuation route, but never drive through flooded roads. 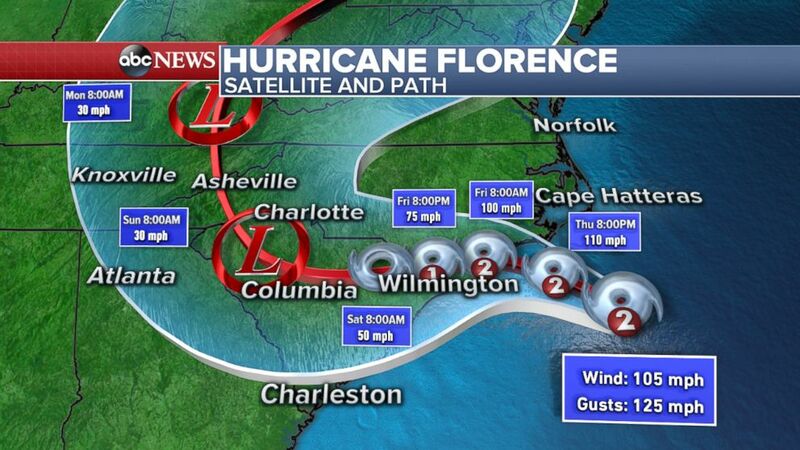 Hurricane Florence is expected pummel more than just the coastline. 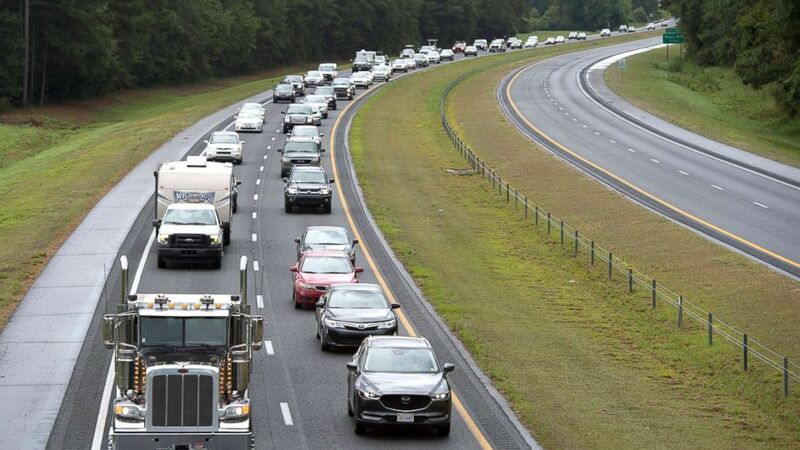 The storm is predicted to bring heavy, possibly catastrophic, flooding to inland parts of North Carolina, South Carolina, Virginia and other surrounding states. Coastal North Carolina and far northeastern South Carolina may see up to 40 inches of rain in some places, and the rest of North and South Carolina as well as southwest Virginia, could see up to 24 inches, the National Hurricane Center said. 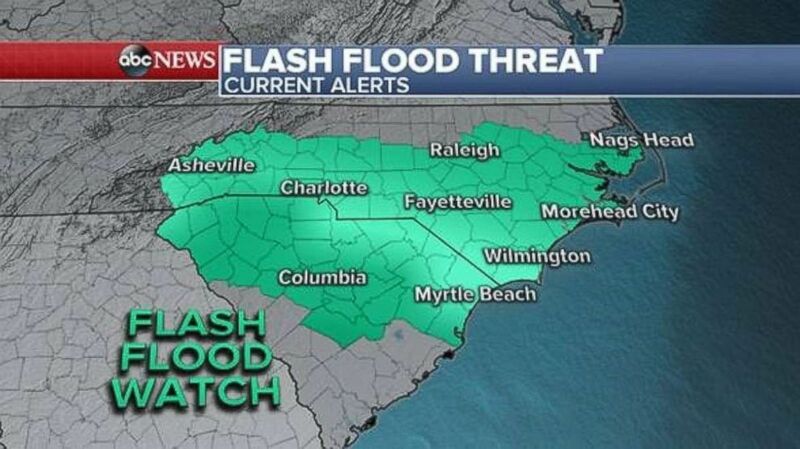 (ABC News) Flash flood watches have been expanded inland as of Thursday afternoon in advance of Hurricane Florence. The Federal Emergency Management Agency (FEMA) has advice on how to stay safe in areas experiencing inland flooding. -- Never drive through flooded roads. You might not be able to tell if the road is damaged under the water's surface. -- If you live near a river, dam or levee, remember that dams and levees can fail when stressed by heavy rain. -- Plan and practice an evacuation route. (Andrew Caballero-Reynolds/AFP/Getty Images) Residents evacuate from coastal areas near Wallace, N.C., Sept. 11, 2018. -- Elevate electrical panels, sockets, wiring and appliances. -- Install a water alarm to alert you if water is building up in your basement. -- Clear debris from your gutters. -- Make an emergency kit with food, water and first aid supplies in case you need to leave quickly. 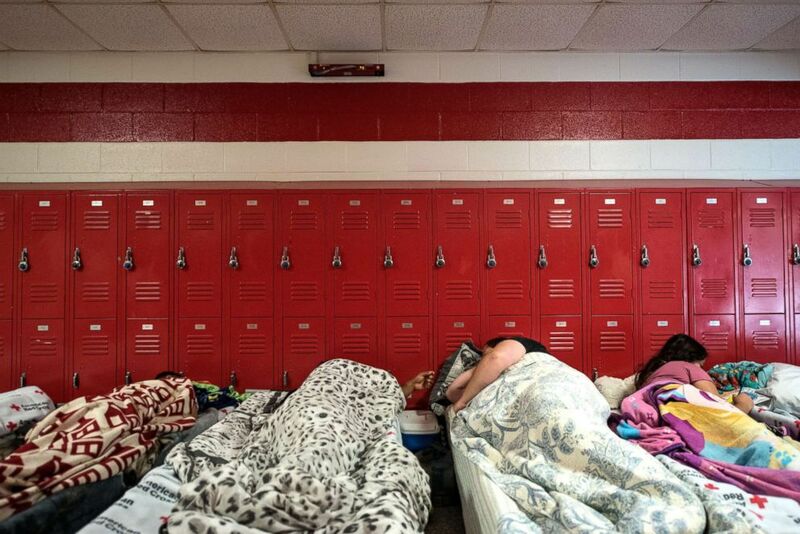 (Caitlin Penna/EPA/REX via Shutterstock) People and pets evacuate ahead of the forecasted landfall of Hurricane Florence and seek shelter at Burgaw Middle School in Burgaw, N.C., on Sept. 2018. -- Make copies of important documents. Keep the originals in a safe deposit box and the extra copy in a safe, dry place. -- Check your home's flood insurance policy and keep a record of your major household items and valuables in the event you need to file insurance claims.